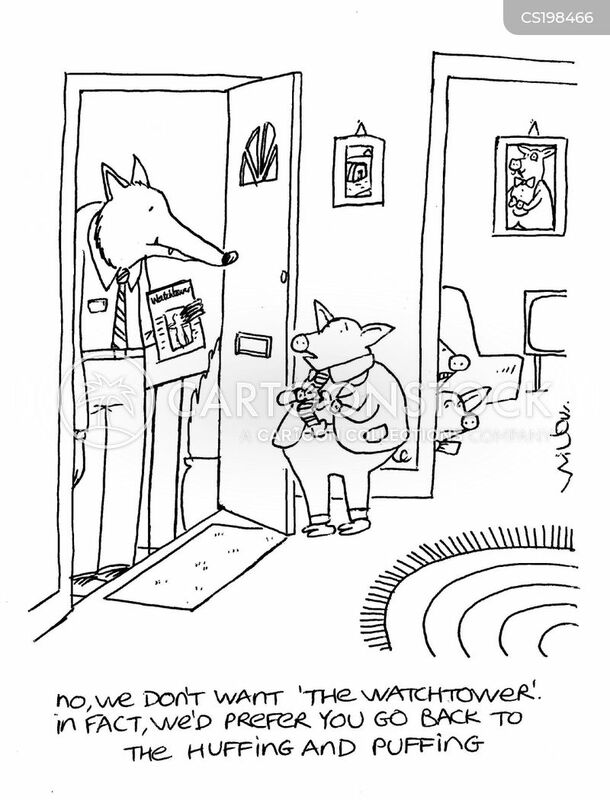 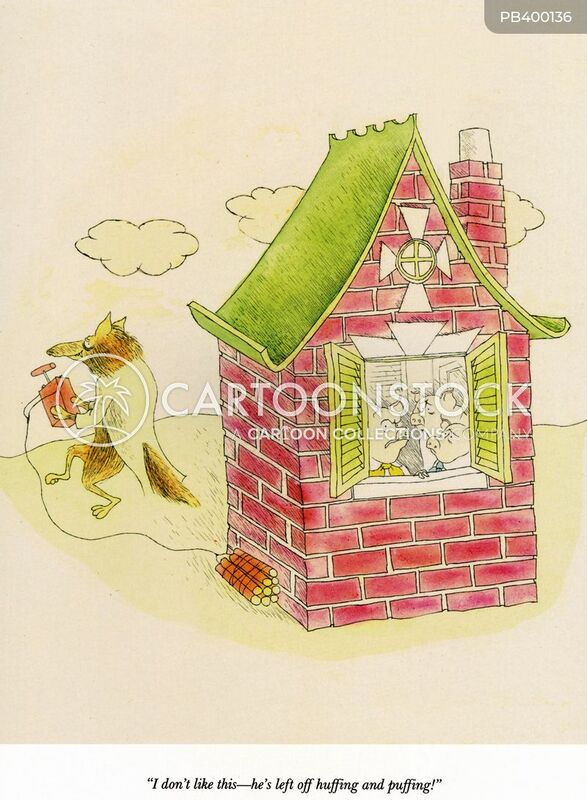 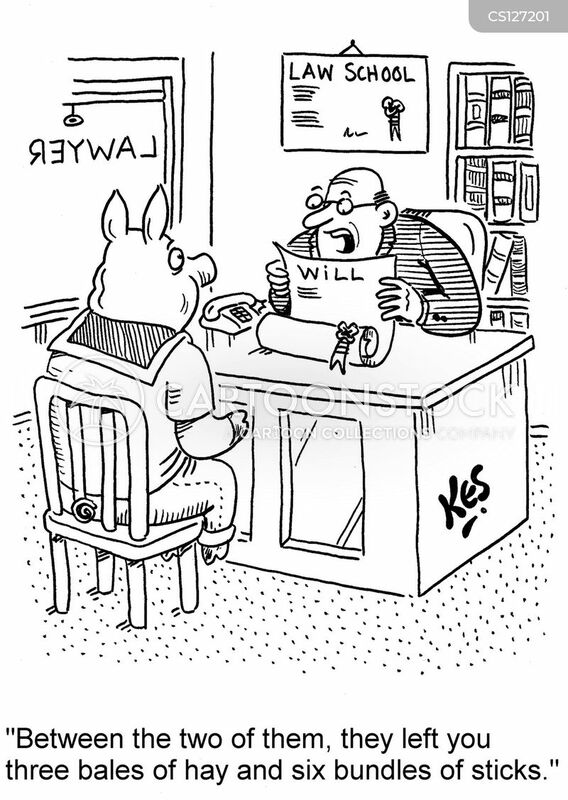 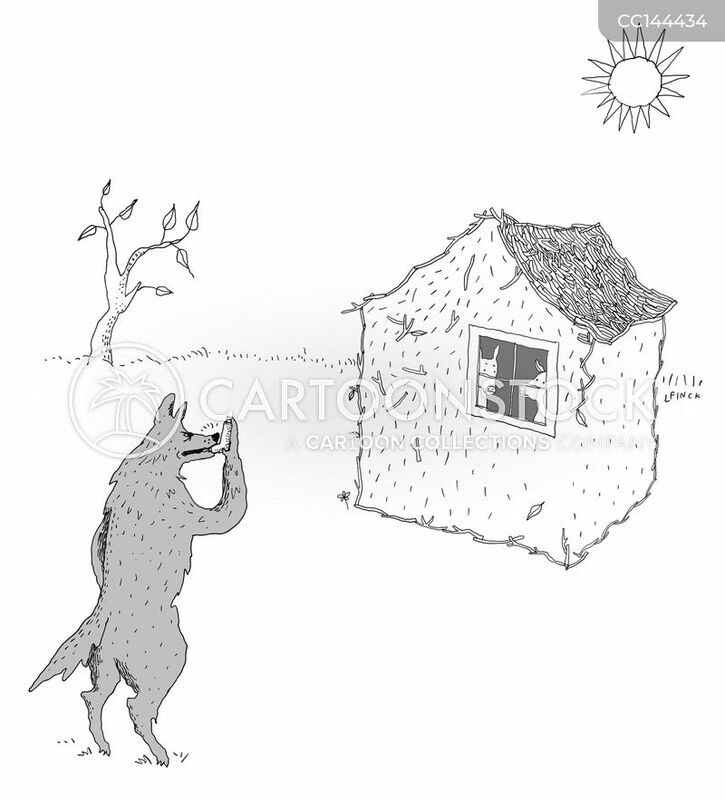 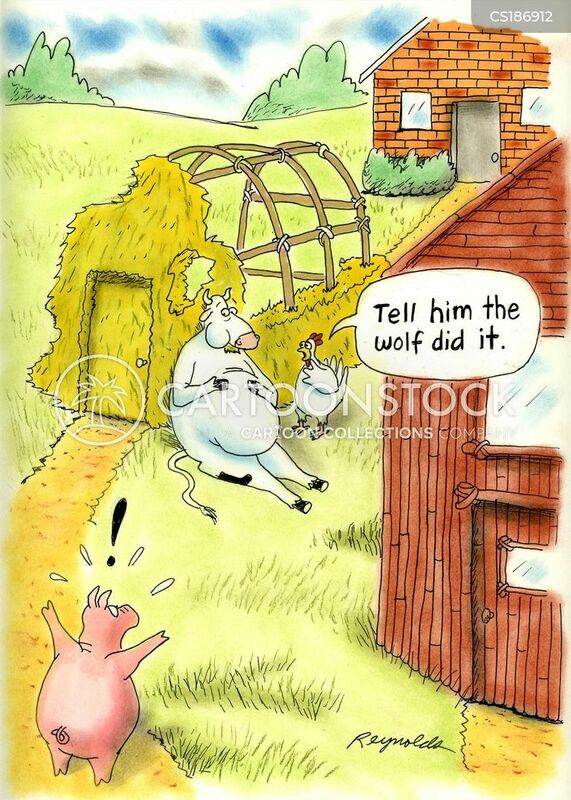 The big bad wolf uses an inhaler before he blows down the three little pigs' straw house. 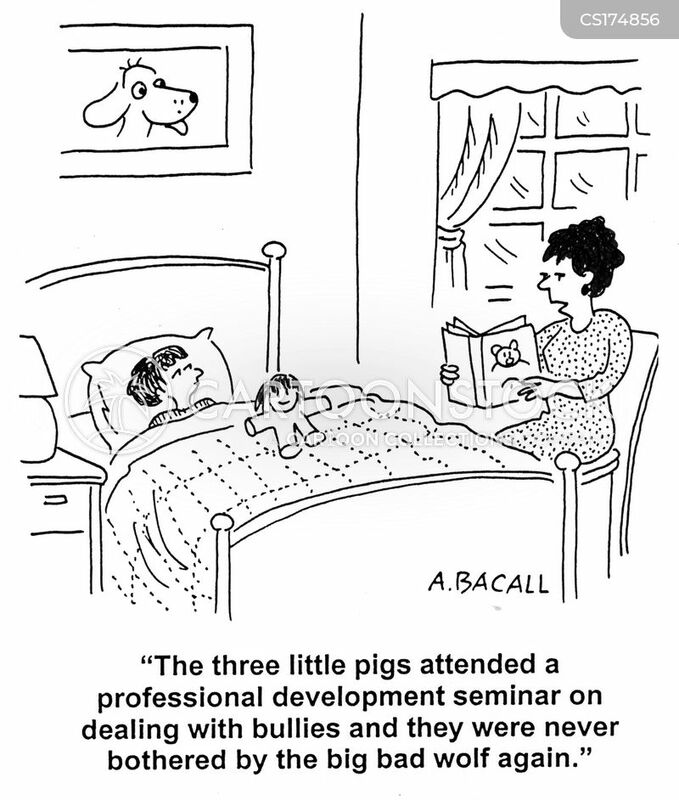 "I don't like this―he's left off huffing and puffing!" 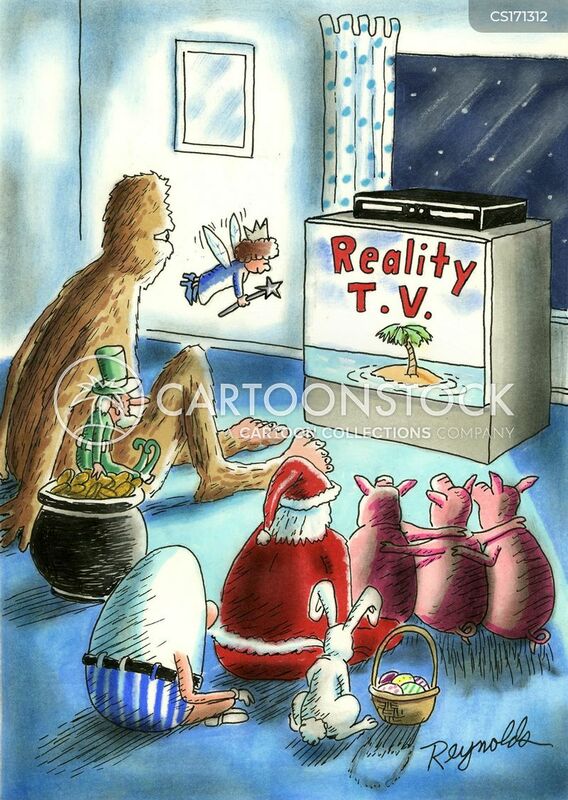 Three Little Pigs,Easter Bunny, Father Christmas, Humpty Dumpty, a Leprechaun, The Tooth Fairy and a Mummy settle down to watch Reality TV. 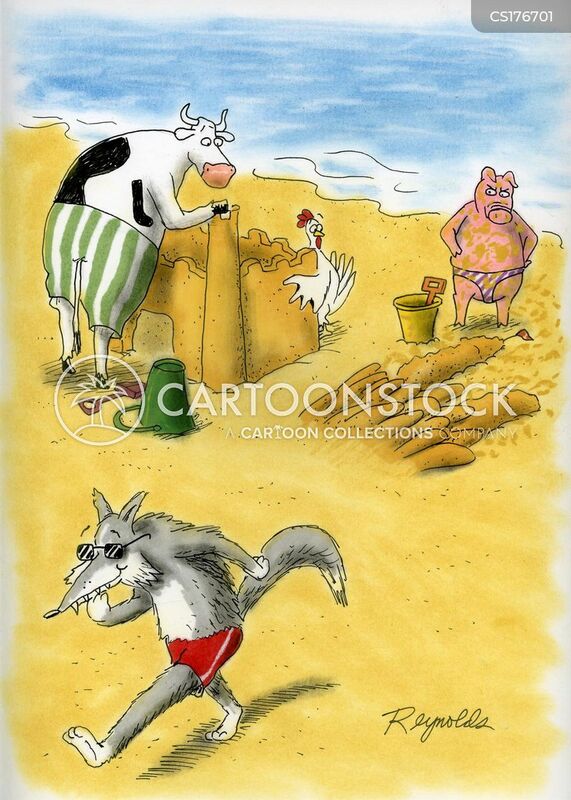 Wolf blew over pig's sandcastle. 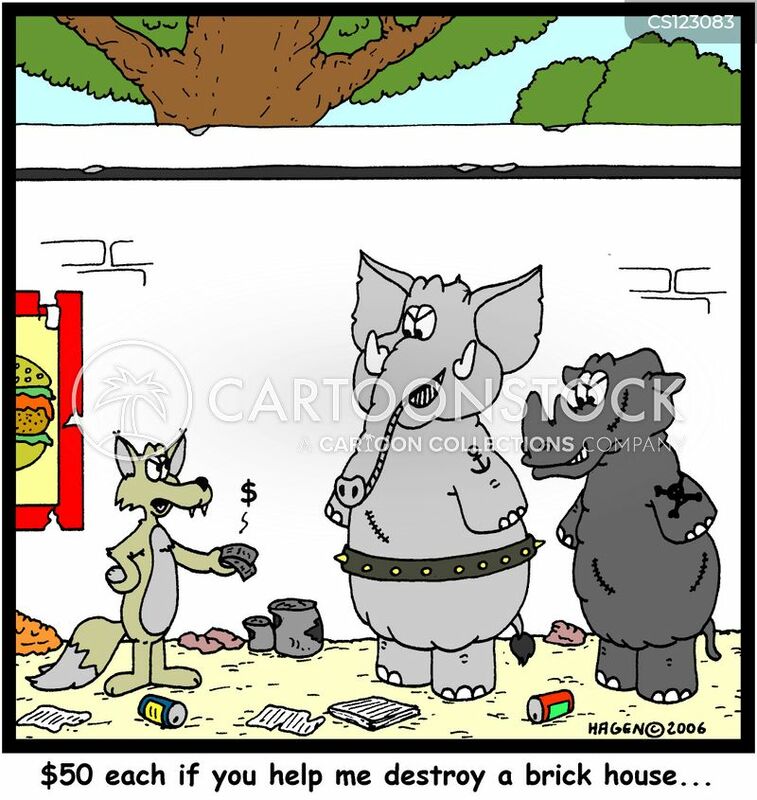 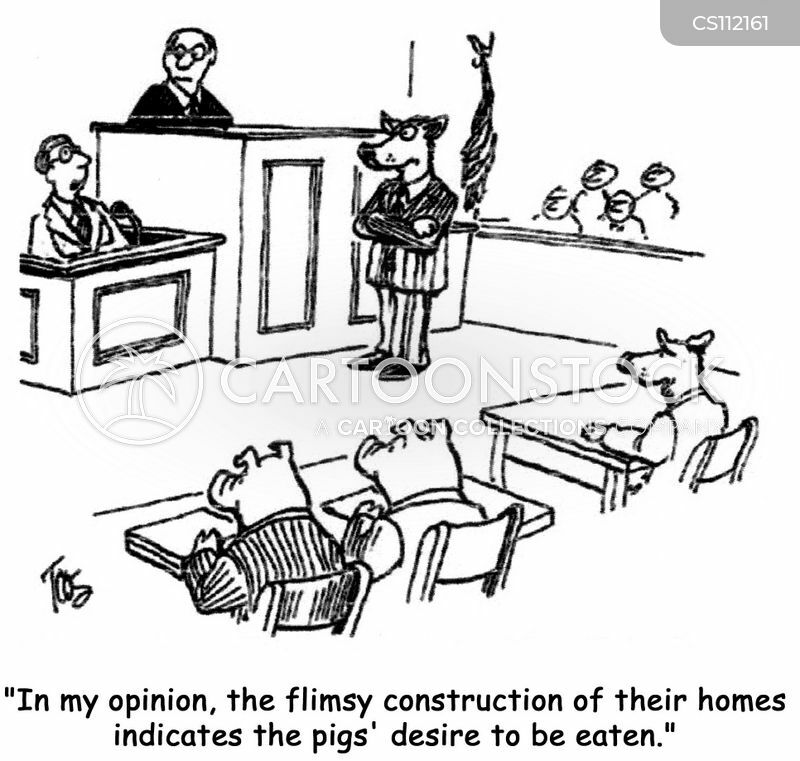 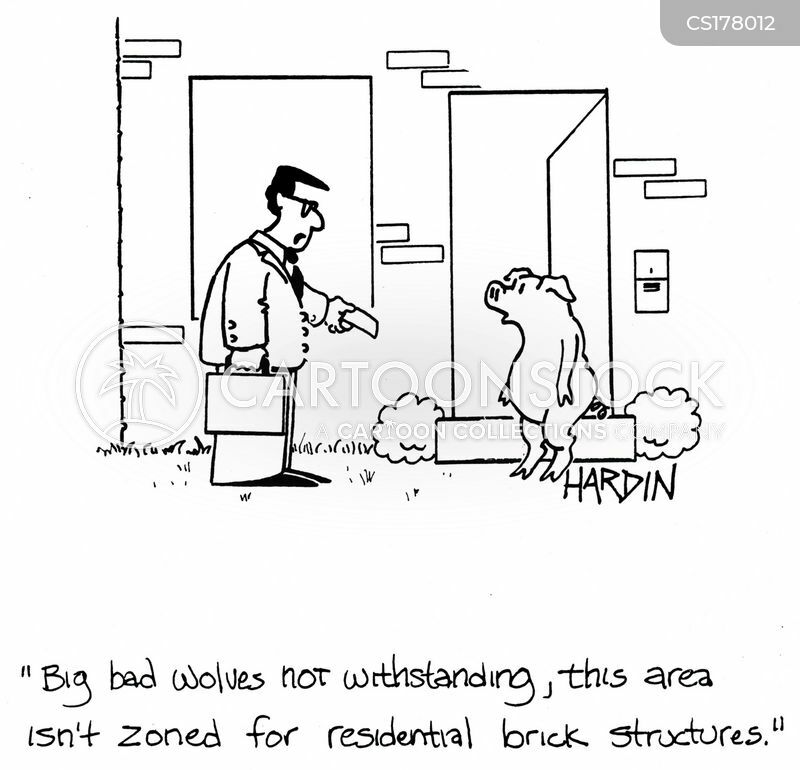 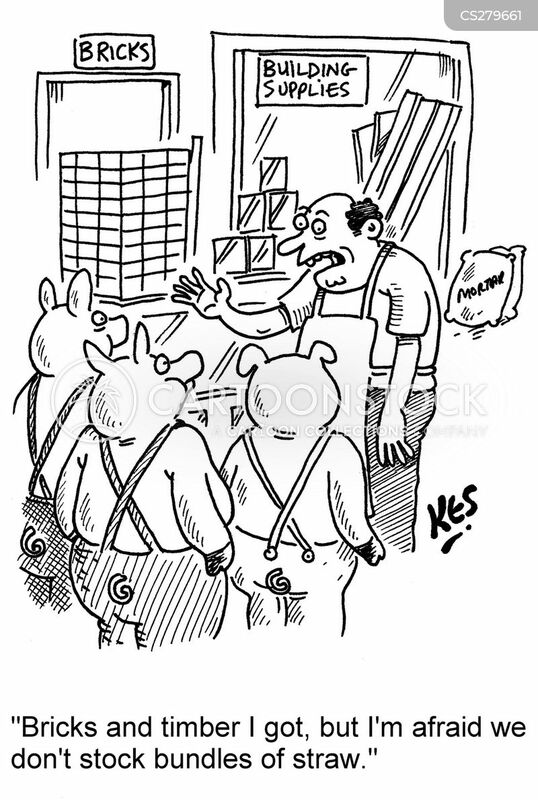 "In my opinion, the flimsy construction of their homes indicates the pigs' desire to be eaten." 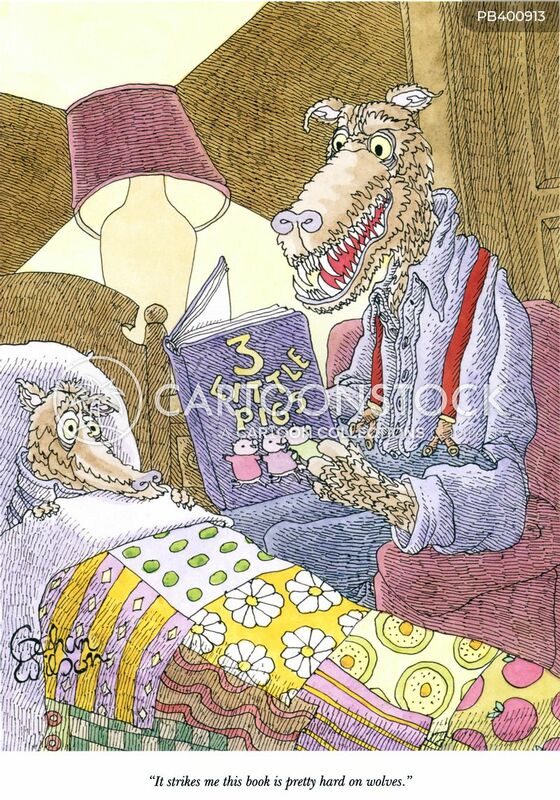 "It strikes me this book is pretty hard on wolves." 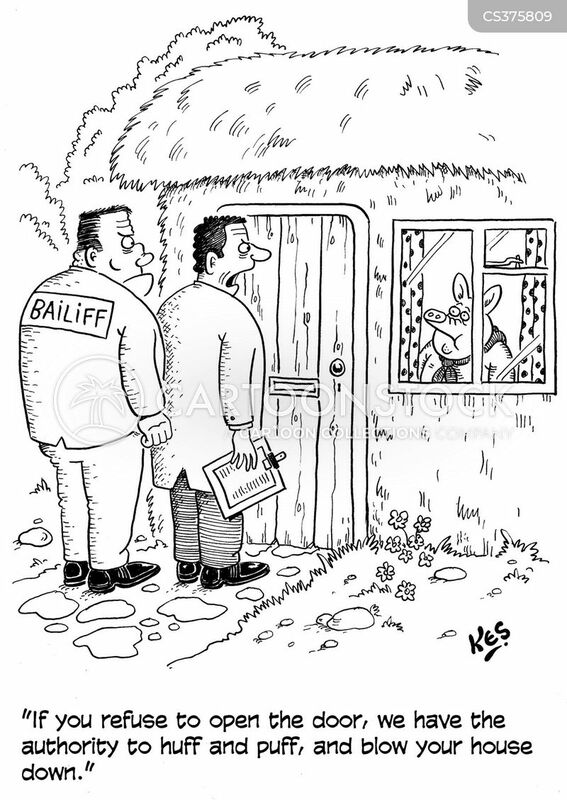 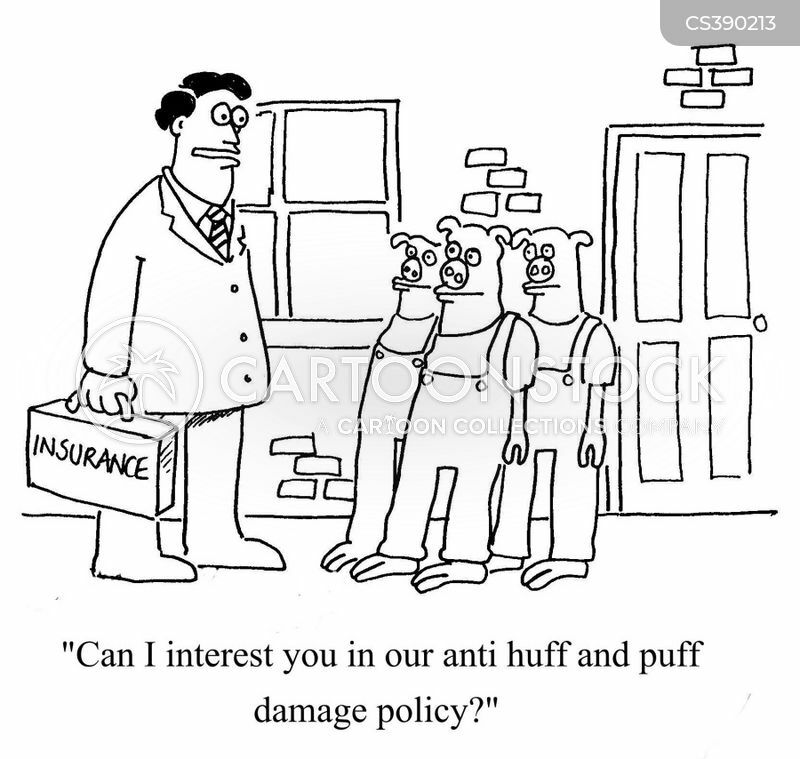 "Can I interest you in our anti huff and puff damage policy?" 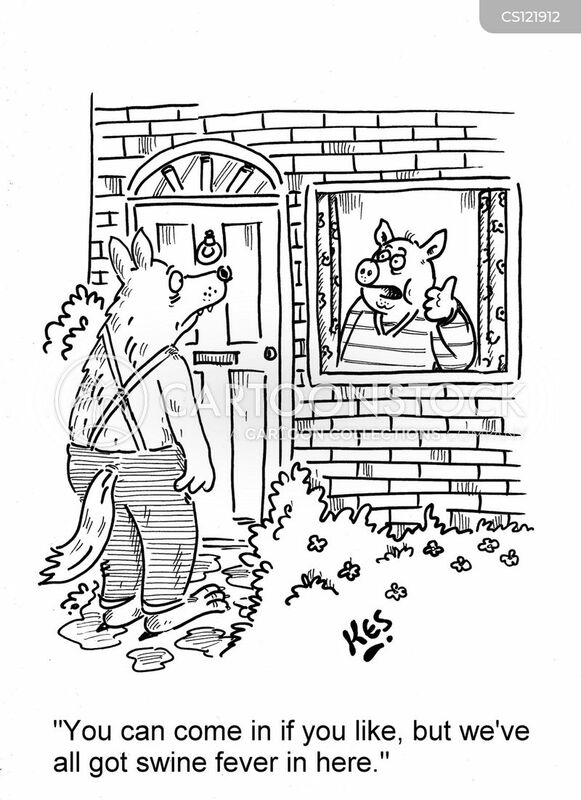 "Bricks and timber I got, but I'm afraid we don't stock bundles of straw." 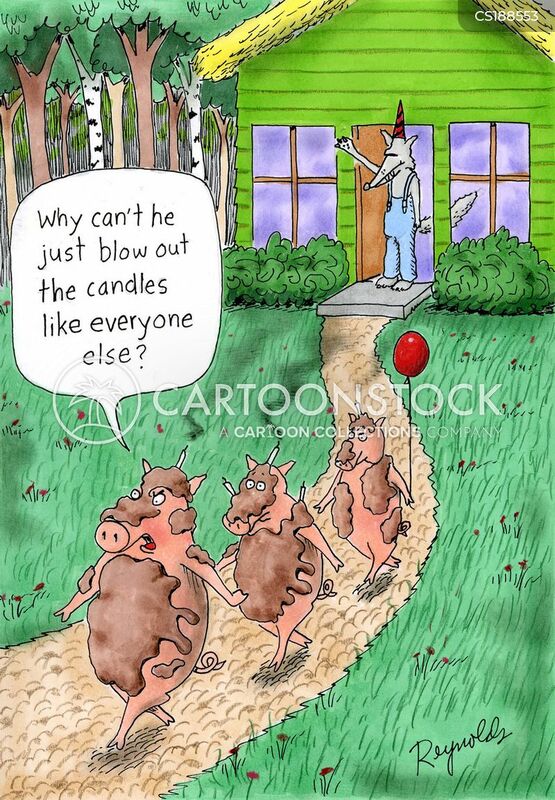 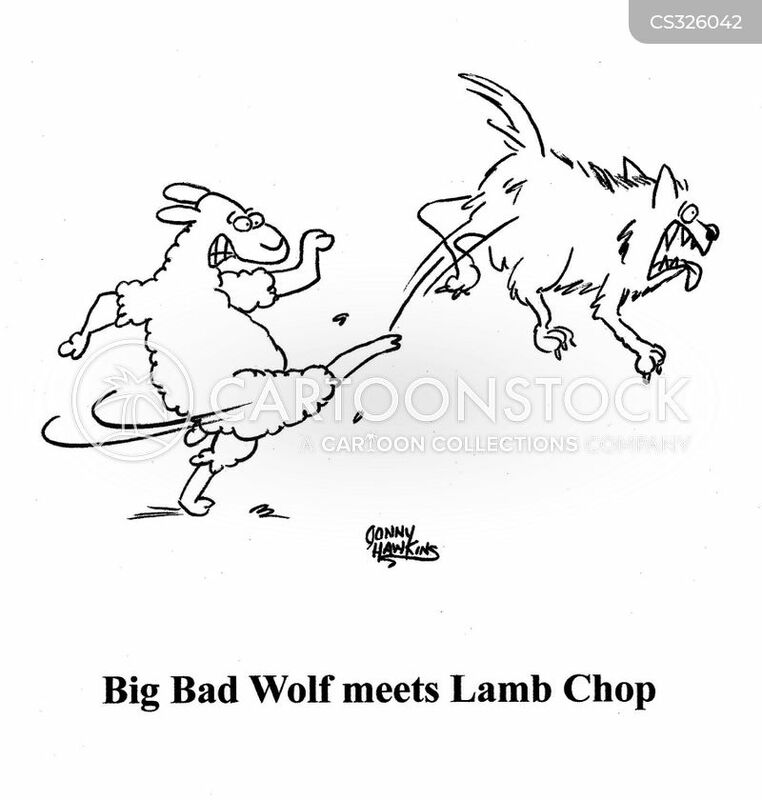 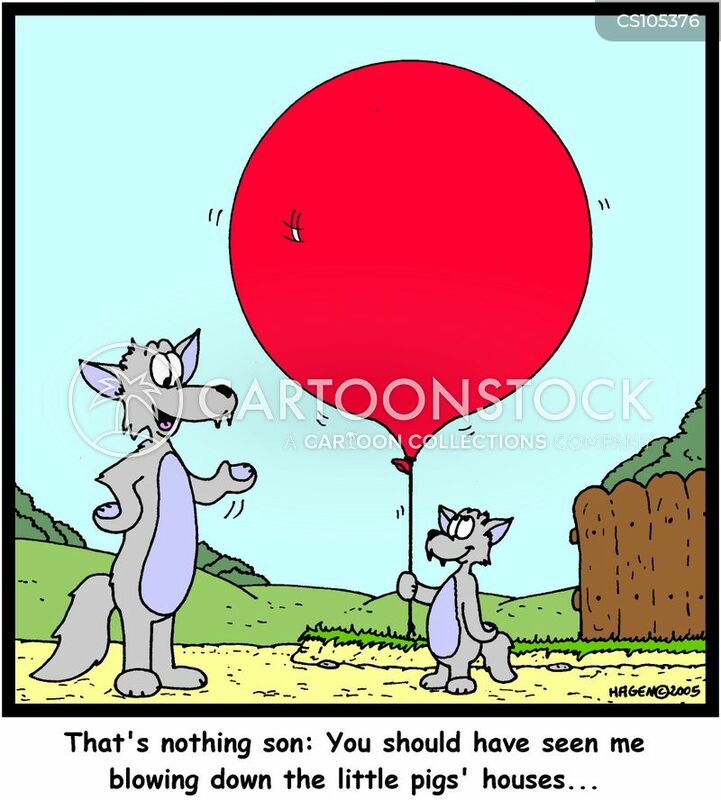 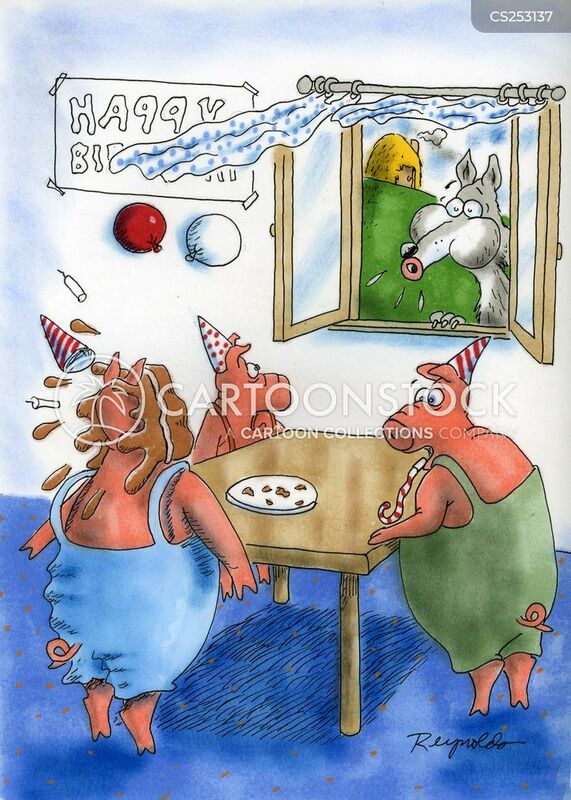 Birthday Greetings from the Big Bad Wolf. 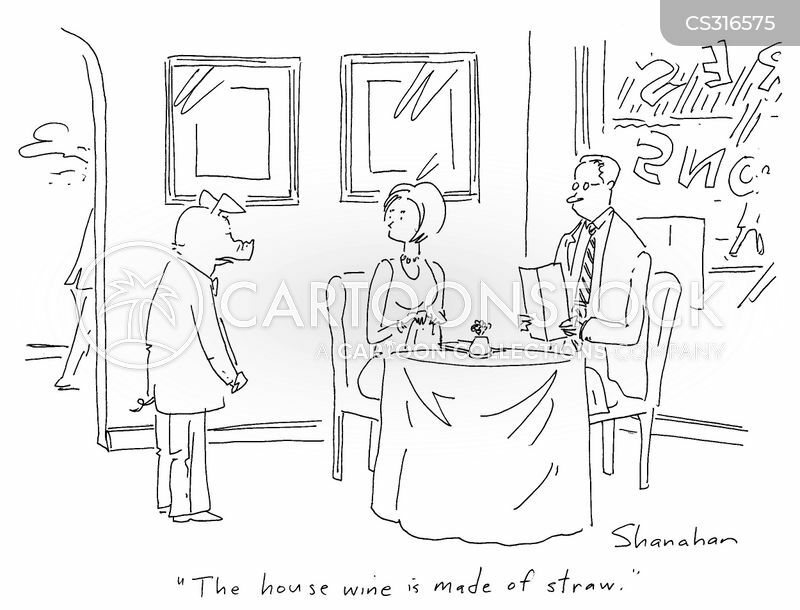 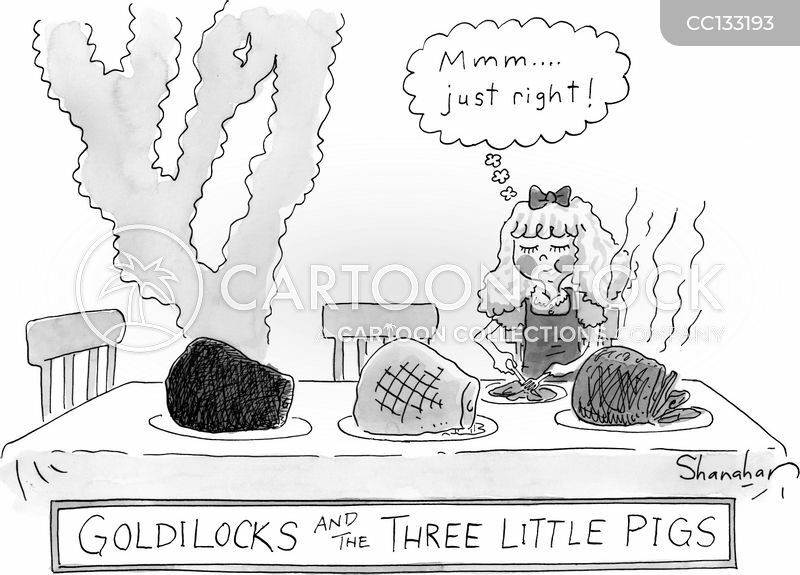 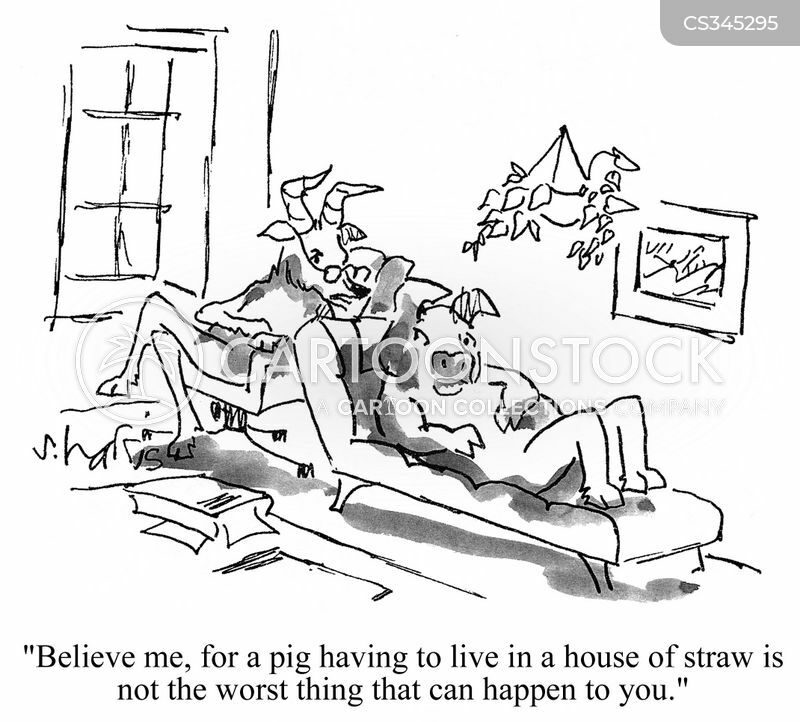 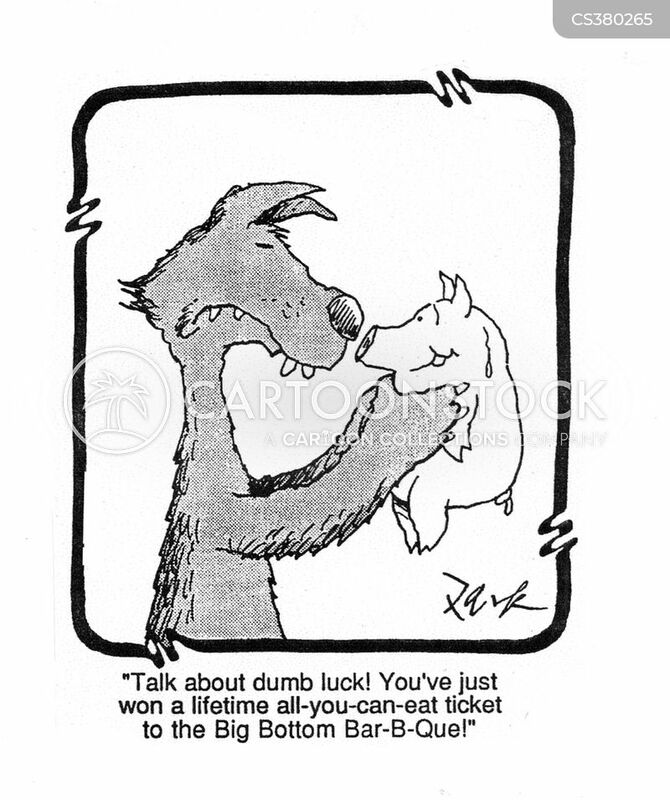 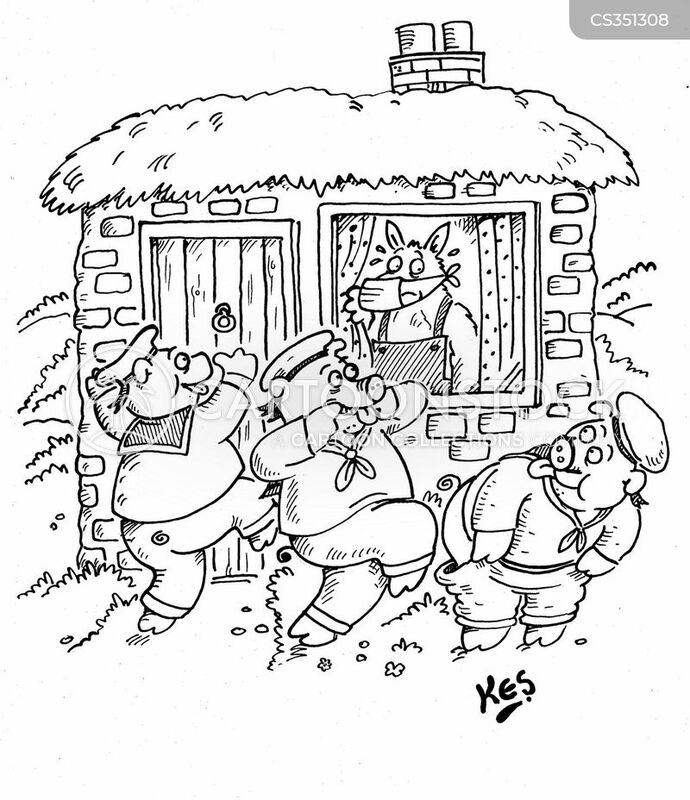 The three little pigs taunt the big, bad wolf, as he remains in his house, fearful of catching 'swine flu'.